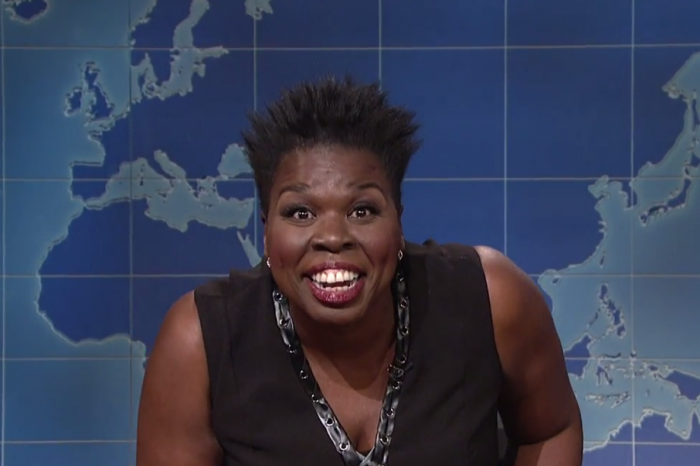 Leslie Jones, the Saturday Night Live star, live-tweeted a long monologue regarding the Men’s Luge competition at the 2018 Winter Olympics in Pyeongchang and her uploads have since gone viral. Leslie freaked out during Chris Mazazer from Team USA’s performance in a long diatribe which social media has found hilarious. While conceding that she wasn’t “a professional or anything,” Jones admitted she wouldn’t want to drive a sled at speeds of 80 miles per hour. It takes a lot of courage to compete in a sport like that. Jones claimed she had ridden sleds as a kid, but never at the speeds of Team USA. Additionally, the comic stated the idea that one should have to stop themselves with their feet is insane. Jones rhetorically asked, “how the f*ck did this become an event? Who did this? Who made this up?” The comedian said even their body including their toes is probably subconsciously averse to riding in such a contraption. However, she did admit that Mazdzer was “fine as h*ll,” and “knows that much, for sure.” Jones jokingly asked him to “luge on over” to her house. Following the camera panning over to the stands where Chris’ mom held up a sign cheering him on, Leslie said she would be incredibly proud if one of her kids were in the Olympics, especially if he was as attractive as Chris. At the time of her tweets, Chris – who is a three-time Olympian – was sitting in fourth place and possibly in talks to win a medal.